Why fork out the cash for pricey dentist visits when you can get yourself a complete teeth cleaning experience with the Home Dental Center? 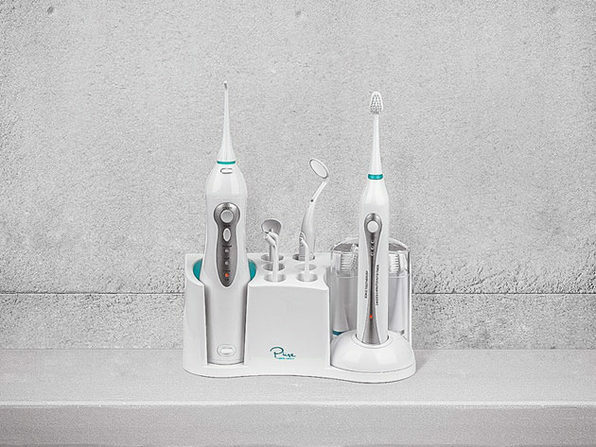 An all-in-one solution for your family's oral care needs, this compact countertop station features an ultrasonic toothbrush that cleans your teeth with a whopping 31,000 vibrations per minute (VPM) and 3 distinct cleaning modes. 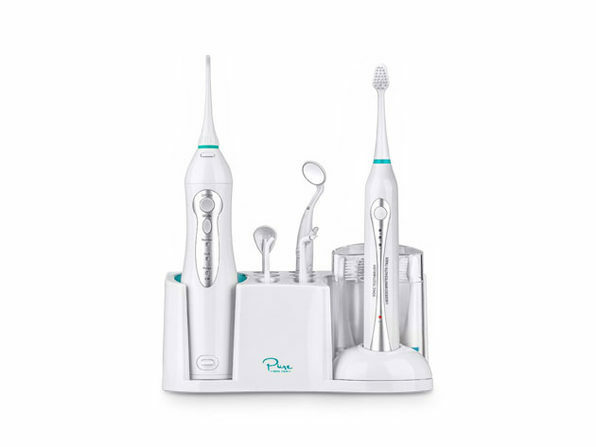 The other half of the kit features a smart water flosser that produces powerful, yet gentle jets of water for dislodging food and massaging gums.